Cape Breton's first and only winery. 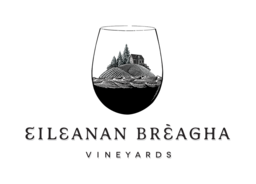 Opened in the summer of 2014.Eileanan Brèagha Vineyards is Nova Scotia’s northernmost estate winery. The Bras d’Or Lakes provide a moderate maritime climate, and a growing season that spans late spring to deep fall. Marble and limestone in our soil provide a unique terroir, adding a distinct flavour to our collection of wines.